The 5th Toulouse Space Show will take place June 28 – 30, 2016 at the Pierre Baudis Congress Centre in Toulouse, France. The trade show / B2B forum is entirely focused on the space supply chain, space applications and space infrastructures. The event program includes an international exhibition, conference and prearranged B2B meetings, with technical parallel sessions and networking events. Participants include Space agencies, Governmental organizations, Consortiums, Research Centers, Laboratories, Universities and Engineering schools. women in AeroSpace, technology transfer hackathon and more. 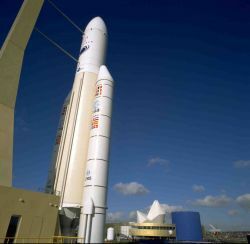 The event is co-organized by BCI Aerospace and the French Space Agency (CNES).